The Climate and Health Alliance, together with the Public Health Association of Australia, has released a new short film: The Human Cost of Power. Produced by Fiona Armstrong and directed by award winning science journalist Alexandra de Blas, this film explores the health impacts associated with the massive expansion of coal and unconventional gas in Australia. The film features respected health and medical experts: Associate Professor Linda Selvey, Associate Professor Ruth Colaguiri, Dr Mariann Lloyd Smith, and Dr George Crisp. It draws on new reports and evidence which offer fresh insights into the risks posed to human health by the production of these energy resources. The Human Cost of Power has received a lot of attention internationally, featuring in a session at the Global Climate and Health Summit held in parallel with the United Nations global climate talks in Warsaw in November, as well as at the international Health Impact Assessment conference. The film has also been selected to screen, in competition, at the Think Forward Film Festival in Venice in December 2013. You can view a trailer of the film, as well as the short (5 mins) version and full length version (16 minutes) on the Climate and Health Alliance YouTube channel. The mining and production of Australian coal and coal seam gas is expanding at an unprecedented rate and scale and with it the risk to human health. There are serious threats to health associated with the mining, transportation and combustion of coal and potentially serious threats to health associated with exploration and production of coal seam gas. In addition, exploitation of these resources in Australia has the potential to drive global warming beyond the two degrees guardrail scientists warn is the upper limit if we are to avoid precipitating catastrophic and non-linear changes to the global climate system. There is an urgent need for a resource to communicate the best available international science in an accurate and engaging way. This short film features Australian public and environmental health experts and draws on new reports and evidence which offer fresh insights into the risks posed to human health from coal and gas. This is part of a broader strategy to engage policymakers, the health sector and the community on the risks to health from climate change and fossil fuels. The film will be used to elevate the seriousness of the health impacts associated with coal and coal seam gas in the minds of decision makers, health professionals, educators, and the wider community in Australia. 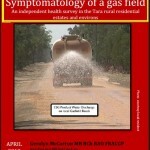 It is available online, and is being provided to university faculties of public health, used at forums in communities affected by coal and coal seam gas projects, and distributed via social media. This will be an important contribution to raising public awareness of the topic in Australia and internationally. A new Scientific Review of the Health Effects from Coal Use in Energy Generation has been released by researchers from the School of Public Health at the University of Illinois at Chicago (UIC). The pollutants generated from coal combustion have profound effects on the health of local communities but can also travel long distances, affecting communities remote from power plants, according to the review. The Unpaid Health Bill report from the Health and Environment Alliance (HEAL) in Europe provides an overview of the scientific evidence of how air pollution from emissions from coal fired power impacts health. It presents the first-ever economic assessment of the health costs associated with air pollution from coal power plants in Europe as well as testimonies from leading health advocates, medical experts and policy makers on why they are concerned about coal. The Health Factor by Doctors for the Environment Australia (DEA) reveals a costly legacy unfolding for Australia from the failure of governments and resource companies to protect human health through under-regulation of the pollution caused by coal and gas projects. The Health Factor demonstrates coal projects pollute at levels known to compromise human health and points to a lack of research and regulation on coal seam gas, with the degree to which the harm human health not yet fully understood. 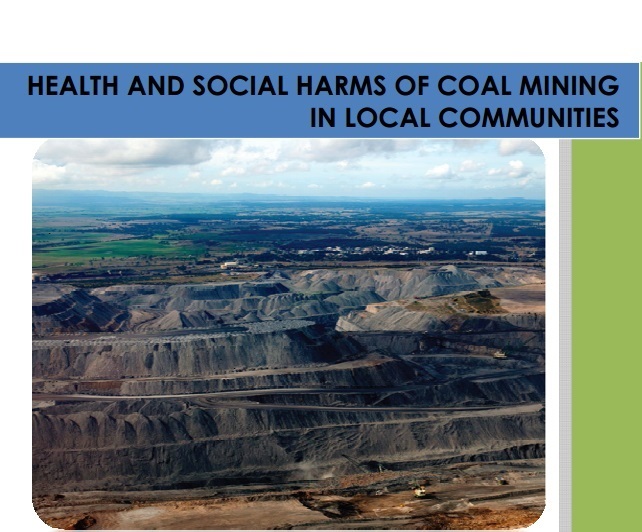 A comprehensive review of Australian and international health and medical literature undertaken at the University of Sydney School of Medicine has highlighted serious, ongoing health and social problems associated with coal mining. 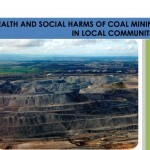 The Health and Social Harms of Coal Mining: Spotlight on the Hunter Region underlines the pressing need for Australia to re-evaluate whether the overall health and social costs of Australia’s reliance on a coal economy will ultimately outweigh its economic benefits. The review Hydraulic Fracturing in Coal Seam Gas Mining: The Risks to Our Health, Communities, Environment and Climate by the National Toxics Network found only 2 out of the 23 most commonly used fracking chemicals in Australia have been assessed by the Australian industrial chemicals regulator. The report calls for a moratorium on the use of drilling and fracturing chemicals (‘fracking chemicals’) used in coal seam gas and shale gas extraction, until these chemicals have been fully assessed for their health and environmental hazards. 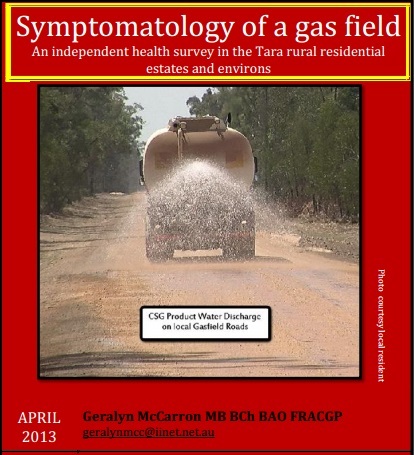 This report: Symptomatology of a gas field: An independent health survey in the Tara rural residential estates and environs by Dr Geralyn McCarron documents an investigation of health complaints by people living in close proximity to coal seam gas development in SW Queensland. It reveals a range of symptoms reported by community members which can sometimes be related to neurotoxicity, including severe fatigue, weakness, headaches, numbness and paraesthesia.